My blog’s Facebook page suddenly got a lot more active. I’m fielding a lot more comments and messages in the past week than I did in the past three months. The common theme of this interaction was the issue of truth. Whether asking what it was or arguing about whose theory is true, people show a belief that truth exists and a sincere desire to know and live out what is true. Since truth cannot contradict truth, when we encounter conflicting claims, they can’t both be true. However they can both be false. This means that we can’t argue that rejecting one claim means the other must automatically be true. Aristotle famously defined truth as “to say of what is that it is, and to say of what is not that it is not.” If we want to do this, we must investigate what things are. This article will not be an exhaustive treatment of truth or logic, but I will mention some things I think are in danger of being forgotten. As Christians, we believe Our Lord Jesus Christ is the way, the truth, and the light. So we must live in accord with His teaching. As Catholics, we believe that the Catholic Church is the Church Our Lord established (Matthew 16:18) and made necessary (Matthew 18:17, Luke 10:16). So we must live in accord with the Church teaching if we would be faithful to Him (John 14:15). The ones who determine what is compatible with these teachings are the magisterium—the Pope and the bishops in communion with him. They bind and loose (Matthew 16:19, 18:18). This office exists regardless of the sinfulness of the men holding the office. We trust that God protects His Church from teaching error (Matthew 16:18, 28:19-20). Because of this, any attempts to separate loving God from obeying His Church does not live according to the truth. This becomes challenging when some members of the magisterium do grievous wrong. But we are not excused. Our Lord anticipated the teacher who did evil when he said in Matthew 23:2–3: “The scribes and the Pharisees have taken their seat on the chair of Moses. Therefore, do and observe all things whatsoever they tell you, but do not follow their example.” When the bishops exercise their office in communion with the Pope, their personal sinfulness is not an exemption from obedience. There are all sorts of things that can mislead. They don’t have to be deliberate lies. A person can think they sound reasonable. But if the argument has false premises or bad logic, the conclusions are unproven. For example, if “proof” of a claim depends on the claim being true, those proofs aren’t proof. That’s begging the question. If a person calls his opponent a liar at the beginning and turns his audience to suspicion of his opponent, that’s turning people away from considering all sides, that’s poisoning the well. If a person conjures up strong emotions to sway the audience to a desired conclusion, that’s an appeal to emotion fallacy. Moreover, a person can lie about or be mistaken over facts. If they speak falsely, they cannot prove a conclusion. There are many ways to mislead. But the person misleading might think it is true. Someone untrained in logic or mistaken about facts can sincerely go wrong without intending to mislead. But we have to investigate claims—especially accusations of wrongdoing—to determine if they are true. Some sources are more reliable than others. Sources that shows repeated ignorance, deception, or bias are seen as more dubious and their claims are given less weight than informed sources which strive to be accurate and balanced. While we can’t just outright reject a claim solely based on the origin (that’s the genetic fallacy), we can certainly question the claim of a dubious source. If I make a shocking claim, you shouldn’t accept it just because I said so (ipse dixit). We have to ask whether it happened or happened under the circumstances claimed. A lack of evidence isn’t proof that it didn’t happen. But neither can silence be used to prove it did (“nobody denies it....”) A lack of evidence means nothing more than a lack of evidence. It doesn’t prove somebody destroyed evidence. It doesn’t prove that the person making the claim is a liar. It just proves... nothing. A variant of this is the “everybody knows” claims. You can’t interview “Everybody.” We need to talk to a credible witness or an expert. “Everyone” may have heard, but not everyone is a witness. People talk, rumors expand. Do they have any basis? Or is it hearsay? Except in rare circumstances (like the “dying declaration”) you can’t testify what someone else told you. The person who saw it has to testify. Nobody likes a dead end. We like things to be resolved. But real life sometimes can’t provide what we need to prove something. Criminals walk free. Society endures that on the grounds that it is better that a guilty man go free than an innocent man be punished. In terms of reason, we would say: if we can’t prove a man is guilty, the courts can’t say he’s been proven guilty. Going by what Christ and His Church had taught, rash judgment is closed to us. We cannot assume malfeasance unless malfeasance is proven. Based on logic, we cannot use bad reasoning that leads us or others to wrong conclusions. In terms of credibility, we cannot rely on sources known to be unreliable or biased to form the basis of our views. In terms of evidence, we must rely on what is proven, not on what is claimed. The problem I see is, in America at least, a vocal portion of Catholic Social Media is ignoring these things. Many are allowing their preferences and biases to shape their opinion and treat it as fact. A person who has a longstanding hostility to the Pope or has indiscriminately read biased sources are swallowing up whatever fits their ideology. I don’t object to seeking the truth. But there is a strong tendency towards rash judgment that must be rejected. If we would be unbiased, we must be willing to consider the idea that the Pope is not guilty of accusations against him—something that seems to be sadly lacking on what I see in social media (which probably means I have to start unfollowing the worst offenders). Is there wrongdoing in the Church? Of course. Even before McCarrick and the Pennsylvania report, that was clear. There will always be wrongdoing in the Church. That doesn’t mean we should be complacent about it. In each era of Church history, there are always things that need reform. This era is no different. But in assessing where the wrongdoing is and curing it, it requires us to be open to finding the truth and eliminating things that lead us astray. This is a requirement for everyone. The person who assumes that only the person who disagrees with us need to do this is not looking for the truth. While I am not complacent with the scandals afflicting the Church, neither do I think this is the worst crisis in the history of the Church. I am concerned, however, by the actions of the anti-Francis Catholics who are using this scandal to press what they see as an advantage in their five year attack on the Pope. In their attempts to target the Pope and bishops which they dislike, they are making proposals which will do lasting damage to the Church carrying out her mission. As I see it, we ought to treat any accusations against the Pope like we would treat an accusation against a close family member. If someone accused your spouse or child of a crime, you’d say: Buddy, you better make damn sure you have incontrovertible proof of your claims before you go any further. We don’t demand our family members to prove their innocence. We insist that the accusers to prove guilt. Right now, the critics have no proof, incontrovertible or otherwise. Vigano turns out to have gotten his story from Lantheaume (who has refused to talk further on the topic). The National Catholic Register turns out not to have gotten “confirmation” from Benedict XVI, but from an unidentified source. If there were sanctions against McCarrick, they were so secret that nobody seems to know they existed—including Pope Francis. And that seems to be the problem with the attack on the Holy Father. The allegation is that Benedict XVI imposed sanctions preventing McCarrick from exercising public ministry “in 2009 or 2010.” Pope Francis is then accused of lifting those sanctions against McCarrick and, therefore, stands guilty of coverup. But if anybody can corroborate the story Lantheaume told Vigano, they have not come forward so far. Meanwhile, it seems that—fair or not—Vigano had damaged his reputation as trustworthy in the eyes of the Vatican to the point that, even if there was anything to the sanctions claim, Pope Francis might have found him to be a dubious source of information. The Vigano letter seems to be conjecture. He thinks he sees cause and effect in the interactions of the Vatican that shows a coverup. But what he calls evidence seems to depend on his assumption that the Pope is guilty of knowingly covering up. But if the Pope didn’t cover up, then his examples are not proof. In logic, we call this begging the question. Keeping this in mind, the calls for the Pope to resign are premature. Before we can even discuss this, we have to ask whether the Pope even did what he was accused of. If he did not, then any demands for resignation are not only useless, but harmful to the Church. Only if it is proved that he did this, can we move on to looking at the reasons for his actions and see whether they were an actual coverup or whether it was an error in judgment. Remember that infallibility does not mean that administrative or judicial actions will be free of problems. A Pope can make what he thinks is the best decision on administrating the Church and make a bad decision. If that’s grounds for demanding a Pope resign, we might as well all jump ship to one of the Eastern Orthodox churches because you will not find a single Pope who was free of sin or mistaken judgment. So, what if we look further and hypothetically do find malfeasance? (which I DO NOT believe will happen). That will be tragic, but will have no bearing on his authority. Only God can remove a sitting Pope and we still have the obligation to give religious submission of intellect and will when a Pope teaches. In such a case, we can only pray for God to guide the Pope to do the right thing. Where is the attempt to give a favorable interpretation of what the Pope said and did? Where is the attempt to ask his account? Who has given us any more than hearsay and ipse dixit when it comes to determining fault? There are no such attempts. That leaves us rash judgment or, if any accusers speak falsely, calumny. We must also remember that the Pope is not a criminal in the dock and we are not judges. He is the Vicar of Christ, the successor of Peter. We don’t get the right to refuse to give him obedience or respect because he has been accused. Pope Francis asked reporters, “Read the statement carefully and make your own judgment.” At this point, my own judgment is there’s no evidence to support the accusations, but there are reasons to question them. In saying that, I don’t make rash judgments of my own. I will leave the assessment of the Pope’s accusers and their motives to God and to those with the authority within the Church. No doubt by now you’ve heard many accounts about the 2018 abuse scandal. I want to discuss a certain aspect of that story that went unreported—the aspect of dissent that was building for decades and came to fruition in the opposition to Pope Francis. No doubt some will disagree with my observations here. But I do believe it explains how the backlash to this scandal could have erupted so quickly. To get to the point we’re at in late August, 2018 didn’t happen overnight, but it doesn’t need a conspiracy theory either. What it took was years of dissenters pretending (or deceived into thinking) their opposition was faithful Catholicism. I think it can be traced to resentment after changes in discipline. Certain Catholics, who thought these changes went against what they thought the Church was supposed to be, believed the Church to be in error. They blamed the Church for any negative behavior from dissenters—a post hoc fallacy. Over the decades, this mistrust and blame led to a growing suspicion that the magisterium was wrong while they were the arbiters of what was orthodox. By the pontificate of Pope Francis, the suspicion became open contempt. People believed that the Pope was a heretic and whatever he did was suspect. His critics, through suspicions, gave the worst possible interpretation of his words, “confirming” their suspicion that he was a heretic in a vicious circle. What he said was compatible with his predecessors, but was assumed to be a contradiction by Catholics ignorant of his predecessors’ teachings. The result of this was a refusal to accept the authority of the Pope. His critics refused to accept his authority to govern or taught. Confusion resulted, but the critics blamed the Pope for the confusion. The result was when the renewed outrage over the abuse scandal arose, his critics blamed him for a problem that went back to the 1940s and was mostly eliminated by 2002. What was different was that we learned some bishops were involved in concealing abuse in the same period—and one cardinal stood credibly accused of abuse. Understandably, Catholics wanted those who covered up to face the consequences for their acts. The problem was in determining which living bishops did wrong, and which ones merely inherited the problem. The anti-Francis Catholics demanded immediate results, even though a just investigation and canonical trial takes time. Much longer than the two weeks between the Pennsylvania report and the time of writing this sentence. Because the Pope did not mention specific policy changes in his condemnation of the evil, critics accused him of doing nothing—again two weeks after the release of the report. Finally we had the Vigano letter. Putting aside the arguments about his motives, we have an accusation that Benedict XVI imposed sanctions on McCarrick in 2010, but Pope Francis knowingly removed these sanctions in 2013, taking part in the coverup. As of the time of my writing this, nobody has proven that Benedict XVI made such a decision. In fact, Cardinal Wuerl has explicitly said nobody told him that such sanctions were in effect—and he would be the one responsible to make sure they were enforced. [§] In his press conference, Pope Francis told reporters to stop being lazy and investigate the accusations. I believe he is confident of the results of that outcome. But the mistrust this faction caused has reached such extremes that any bishop who denied being part of the coverup was deemed a liar. As a result, the critics had a “heads I win, tails you lose” situation. Any bishop who didn’t go along was “part of the problem.” Any bishop who did was “proof” that the other bishops were liars. There’s no way a bishop can prove his innocence under these circumstances. And, here we are. A vocal faction has hijacked the narrative and attacked anyone who challenged the claims. They were so loud that many people are beginning to believe them. Now, when the Pope and bishops reject the accusations, people believe the propaganda. This is schism in all but name. I will not be part of it. Like this Pope or hate him, he is the Vicar of Christ. Like or hate the bishops, they are successors to the Apostles. They do have the authority to bind and loose regardless of personal sins. Yes, reform is needed. But it cannot be a revolt. It must work with the magisterium, not against it. [§] Also of note, if Benedict XVI imposed sanctions and Pope Francis lifted them, Cardinal Wuerl would have an excuse for not getting involved in the McCarrick case. But instead of saying he was ordered to end sanctions, he insisted he received no instructions to begin them. The Church is the ordinary means the Lord uses to bring His salvation to the world (see CCC #738). It also consists of sinners in need of salvation, some of them doing some pretty wicked things or being indifferent to wrongdoing within their power to oppose. We have, on one side, Bible verses insisting that the Church teaches with His authority (Matthew 16:19, 18:18) and to reject the Church is to reject Him (Matthew 18:17, Luke 10:16). On the other side, we have the Bible warning the shepherds of their faithlessness (Ezekiel 34:1-10) but also pointing out the obligations of obeying teaching authority while not following personal behavior (Matthew 23:2-3). We have a Church that binds and looses with Our Lord’s authority, and a Church where the men who lead it can sin. These things are not contradictory. We believe that God protects His Church from teaching error in matters of faith and morals, but those who lead the Church still need to work out their salvation in fear and trembling (Philippians 2:12). There is no guarantee that a successor to the Apostles will make wise decisions in governing his diocese, but he still has the authority to teach in a binding manner—provided that he remains in communion with the Pope. Now, it is true that clericalism is wrong. Clericalism tends to reduce a diocese or a parish to a fiefdom where the bishop or priest can arbitrarily act as he pleases, while members of the laity believe they have to accept it. Instead, the magisterium is the servant of, not master over, Scripture and Sacred Tradition. The Pope and bishops in communion with him pass on the teaching of the Apostles from generation to generation. Unfortunately, some members of the Church are confusing these things. They think that defending the magisterium of the Church is clericalism. A bishop teaching is not clericalism. A bishop becoming a law unto himself, setting aside his obligations, is clericalism. Realizing that, the actions of a growing number of Catholics are dangerous. They confuse the teaching authority of their bishop with his sins. If the bishop did wrong (or is suspected of doing wrong), the mob says he has no authority and his fate should be decided by laity. I’ve seen some Catholics argue that we need lay leadership since the bishops can’t be trusted. I’ve even seen a priest call for an ecumenical council with full participation of the laity—which is to give them voting power—because he thinks bishops can’t be trusted. Remember, I’m not talking about reactions to McCarrick or specific bishops who seem to have deliberately covered up a predator priest. I’m talking about attacks on the authority of The Bishops in general. The problem is, in attacking this way, they are undermining trust in the legitimate authority of the Church. This is the kind of thing that can lead to schism, rejecting the Church if it doesn’t respond to the scandals in the way the mob wants. That’s why, even though I want the Church to censure the wrongdoers, I think this movement goes in a direction I cannot support. Going back to the Old Testament, we see that regardless of the wrongdoing of the leaders, the Lord also punished those who would usurp that authority which God had given them. No, we shouldn’t just accept any misuse of authority that a priest or bishop commits. Yes, let us make our needs known reverently, as canon 212 tells us. That can include serving the Church in finding just solutions to this evil. But let’s also remember canons 752-753 on authority. If we would be faithful to Jesus, we must hear His Church. Don’t accuse me of not caring about victims in writing this. I do care. This scandal has opened my eyes to failures to shepherd where I assumed common sense and policies should have been in place. We do have to get the filth out of the Church. But I believe that this internet apostolate of wrath is not going to solve the problem. Any true reform will keep the nature and teaching authority of the Church in sight. If it doesn’t, it’s not reform. It’s rebellion—and I will not participate in rebellion. After the disgust at the news of wrongdoing (I naively assumed the bishops had cleaned up their mess in 2002), the next thing that rises up in me is wariness. Catholics are right to want the wrongdoing fixed, but I’m dubious about the righteousness of some of the demands being made. Some of the reactions seem based in wrath or preexisting resentment. These cannot be the basis of reform. This article, which may not see the light of day, is my attempt to work through my misgivings. None of it should be interpreted as supporting the status quo or advocating clericalism. Nor do I intend to show fatalism. Instead, I hope to show that attempts to achieve true justice here are much more involved than the combox warriors on social media think. Once we recognize that, it is no longer legitimate to demand a “one size fits all” approach. If some are not guilty, then we must not punish them with the guilty. That means we have to investigate accusations and deal with those who are culpable. Off the top of my head, I can think of four different levels of bishops’ involvement (and there are probably more) each with a different level of guilt. Successors to the first bishop involved who assumed that past problems were properly handled until the offending priest showed up in the news. Successors to the first bishop involved who did their best to root out this evil from their diocese. Obviously, the greatest guilt goes to group 1. Guilt in groups 2 and 3 will vary depending on what they did once they were aware of the problem reemerging. Group 4 clearly has no guilt and not only would it be unjust to punish them, but doing would hurt real reform. So, again, we cannot just take a “one size fits all” approach in a reform. One of the mantras on the scandal is that the bishops can’t be trusted and the laity should handle it. I am very concerned about this going wrong. First of all, the bishops are not like elected officials. They do have a sacramental based office as successors of the Apostles and cannot just set aside their task. Second...well, have you seen the wrathful and sometimes woefully ignorant responses by some of the laity? I wouldn’t trust them to run an impartial investigation. To make this work, we would have to search out and appoint wise and impartial laity who would seek out the truth and render a just report. The problem is, WHO do we trust to make that decision? The bishops who many don’t trust? The laity who I have misgivings about? No matter how it’s decided, somebody will think the investigation lacks credibility. Personally, I’d like it to be handled like Chile—where the investigation came from the Pope, but involved investigators from outside the country under investigation. Laity can certainly play a role in this. But let’s remember how justice works. The victims are witnesses, and we should listen to them and give them justice. But victims and witnesses can’t also sit on the jury. The whole point of a jury is that the verdict be reached by impartial people. So, let’s realize that slogans aren’t helpful. We need to ask questions on how to create a just investigation that neither turns into a lynch mob nor turns a blind eye to evil. Yes, laity have a role to play. But so does the magisterium. Unless we recognize this, any investigation is unlikely to be acceptable. I’ve seen some call for the government to be involved in an investigation. I could make a lot of flippant jokes on trusting government competence, but levity isn’t helpful here. The issue here is, what is the role of the government? It can legitimately investigate crime. So, if there were crimes committed that are not past the statute of limitations, the government can prosecute. The problem is, the state not only can prosecute. It can persecute. It can turn an investigation into a weapon to silence foes. I think back to the 1990s when the government wanted to use RICO to target pro-life demonstrators and seize the property of family members. That was a politically minded attack from a pro-abortion administration. But this is not merely a threat from the past. I remember the recent contraceptive mandate and the hostility directed at the bishops. I can imagine the current administration remembering the bishops’ stance on immigration. So the question is, how far can we trust the government to only do what it has the authority to do? This too must be considered in determining a just response. This is a popular slogan, but it flies in the face of our Catholic obligations... notably the Fifth Precept of the Church. The fact is, the faithful are required to provide for the needs of the Church to carry out her mission. Now I understand the anger the faithful have in seeing this support go to paying settlements. If the bishops had acted instead of evaded, we might not be in that mess. But their bad stewardship doesn’t remove our obligation. That doesn’t mean we have to just throw our money away. One can specify that their donations go to specific ministries and not the general fund. But this does require some research to know where the greatest need is. I realize these reflections do not provide solutions. That was never the intention. The point of this was to point out that the Catholic response cannot be implementing slogans. They require thought and planning to ensure a just solution that solves the problem, not a quick fix that does greater harm down the road. I don’t advocate a clericalism based response. After all, I’m a member of the laity and I’m involved by writing about this. But I also reject the idea that the clergy is the enemy of reform. That idea has led to many heresies and schisms. If we as laity want to truly be involved, I think it involves prayer and study before actions. We must pray for God’s involvement and for our own guidance. We must pray for the innocent clergy to be comforted and given courage to do right. We must pray for the guilty that they repent and make amends for their evil, and that they be brought to salvation. And after prayer comes study. There are a lot of uninformed, emotion driven reactions out there which will not bring reform. They will only cause division. We must understand what the Church can actually do, we must understand what is compatible with her mission. If we can understand that, we can recognize when a demand is something we cannot do. This frustrates people. We want the filth to stop. We want accountability. There’s nothing wrong with that. But unless we pray for guidance and study to learn what is just, we may end up doing injustice to feel good. [~] There can be overlap with group 1 if they worked to conceal wrongdoing. Some of the anticlerical posts I’ve seen on social media claim that other states will follow the lead of Pennsylvania and start their own investigations. These posts are saying that the Church should “get out in front” of the scandals and disclose the names. I’m pretty sure I know how it will play out. We’ll probably see incidents from the late 1940s to 2002 and then a sharp decline. We’ll probably see some bishops who, whatever the motivation, moved these priests around. Then we’ll all fight again about who knew what and what should have been done instead. What we won’t see is many people seeking to understand how we got to this point, what motivated some bishops to think this was a good idea, and who advised them. Instead of learning the full truth of the matter, we’ll stop seeking the truth with a list of names and some graphic descriptions of what was done. People will be shocked by these descriptions, get angrier with the Church until finally some of them decide to leave the Church, declaring that this is the worst scandal to ever strike the Church, and we need to throw out the old and rebuild. I will not be among those who leave. That’s not because I’m “in denial” about the evil done. Nobody who studies Church history can be blind to the often shameful and always cringeworthy scandals throughout. I will remain because I understand that each era of the Church has its own scandals that must be faced and overcome. But I don’t expect a quick fix to the problem. When a long-running problem is exposed, exposing it to the roots and removing them takes time. For example, in dealing with the corruption that led to the Protestant revolt, the Council of Trent took almost 30 years after the rise of Luther to begin, 18 years to complete, and over a century to implement. Fifty years after Vatican II, we are still implementing it—and fighting over whether it should have happened at all. While I pray it doesn’t take that long to deal with this, the task at hand is more involved than people seem to think. People think it is just a matter of identifying and throwing out the priests and bishops involved. And while that is a part of it, it is not the only part of it. To prevent sliding back, we need to understand what led to it becoming so entrenched and how it could have been tolerated. Pope Francis mentioned the problem of clericalism. I think he’s right. Not just the arrogance of some clergy that lets them view their parish or diocese as a personal fief, but also a belief among laity that they must accept and keep silence over wrongdoing. Also, we need to separate those bishops who decided to coverup wrongdoing from bishops who trusted psychologists to “cure” predator priests and believed them when they said the priest was safe to return to duty. We need to separate both groups from later bishops who thought the past problems were legitimately solved until news of a former priest from the diocese made the news. Finally, we need to separate these three groups from the later bishops who sincerely followed the Dallas Accords and tried to root out the filth. A true reform needs to deal with all four scenarios and not slap on a single “throw the bastards out” slogan. Unfortunately, I’m seeing a growing number of Catholics who think it’s better to throw out some of the innocent if it means getting rid of all the guilty. They think “kill them all, God knows His own” is reasonable. This view shows up in the assumption that all bishops must be guilty of willful wrongdoing and none can be trusted. One of the responsibilities of the laity in this time is to educate themselves about what the Church can and can’t do. When we know, we can have reasonable expectations on how the Church works, or respectfully call for a reform of what doesn’t work. But if we’re ignorant about it, we’re liable to get furious over unreasonable demands and think it’s “business as usual.” That’s how heretical and schismatic movements get started. None of what I say here should be interpreted as advocating passivity or clericalism. We do have to act, and we do have to participate. But I am saying that if we want to truly reform, we need to work together with and for the Church, not against the Church. Otherwise our efforts will damage the Church we hope to save. This will probably be a controversial article, but I think it needs to be said, lest we fall into the trap of focusing on the evil of others to the point of self-righteousness and judgmentalism. There is a lot of anger directed at the bishops—individually and in general—over the latest scandals. This is understandable. But it can also be dangerous if it tempts us to justify ignoring Our Lord’s teachings when an evil seems too much to bear. I think we forget that the audience Jesus spoke to was an audience of victims. The Romans had conquered Judea, and were running it unjustly. Some of the Jews (like the tax collectors) collaborated with the Romans out of self-interest, enriching themselves at the expense of their own people. Hope was high for a messiah who would drive out the Romans and restore the Kingdom of Israel. But that’s not the message Jesus preached. That’s not the reason Jesus came. He preached salvation from sin, and spoke of the need to forgive those who wronged us. He warned against attitudes of self-righteousness and judgmentalism, telling us not to assume our following the rules and not being as bad as others made us worthy of salvation. Understanding this shows how scandalous Our Lord’s teaching was. In the parable of the Pharisee and the tax collector (Luke 18:9-14), Jesus tells us that the Pharisee—who sincerely kept the teachings of the Law—was not justified in God’s sight while the tax collector—who was viewed as a notorious sinner—was justified. The difference was one of attitude. The Pharisee spent his prayer time praising himself and judging others. The tax collector pleaded with God for mercy. I think of this, watching Catholics on social media expressing sneering contempt for the bishops. There is an ugly, self-righteous demand for them to abase themselves and grovel for our forgiveness. There is an ugly contempt that considers them to be human garbage. There is an ugly belief that we, the laity, are superior to them. But, following the theme of Jesus’ parable, if a sinful bishop echoes the prayer of the tax collector, “O God, be merciful to me a sinner,” it is he who leave justified while we will not. Does that shock you? It should, just like the parable shocked the Jews. Like us with the bishops, the Jews had to struggle with the thought that Jesus was turning a blind eye to real wrongdoing. But He wasn’t. He was pointing out the need for repentance...from each one of us! No doubt people will angrily reply, “THEY AREN’T REPENTANT!” But this brings us to the (oft misquoted) “Judge not” of Matthew 7:1ff. No, Jesus wasn’t saying “don’t judge the morality of actions.” He was saying, “don’t judge the person’s soul or worthiness of salvation.” When we assume that the other is irredeemably evil unless they show repentance on our terms, we are violating Jesus’ teachings. Nothing I have written above should be interpreted as ignoring or writing off real wrongdoing. Some have done things that require censure. But we must not forget that the Church has a mission to bring Christ’s salvation to all. Now leaving aside the cases of actual victims and their families (counseling these people goes beyond my wisdom, training, and experience, so I do not presume to tell them what they should do), I would remind my fellow Catholics of Ephesians 4:26–27: “Be angry but do not sin; do not let the sun set on your anger, and do not leave room for the devil.” If we are letting our anger fester into revenge and wrath, we are creating an eight lane highway for the devil. So yes, let us work for reform in the Church. But let us make sure that our work is free of sinful anger, and make sure the reform we work for is compatible with the Church Our Lord established and promised to protect. The scandals have shaken the Church. McCarrick and the 300 priests who have credible accusations [§] against them abused their positions to molest children and that is inexcusable. Some bishops were more interested in avoiding scandal than in shepherding their flock. That too is inexcusable. The Church has a procedure to canonically investigate and try bishops and that should be done [†]. However, certain Catholics have taken it further. In their mind, all the bishops should have known and therefore cannot be trusted. They believe that only the laity can save the Church and demand that they lead the investigation, determine the fate of bishops, and have a say in their replacements. The implication is that since none can be trusted (unproven) they cannot lead us. It’s a very anticlerical movement that shows some people do not have a clear understanding of what the Church is. Others have shown signs of believing that the Church is a simply human institution. I’ve seen parents say they weren’t sure if they wanted their children baptized and priests wonder if the gates of hell have prevailed against the Church (cf. Matthew 16:18). These too are a sign of people not understanding what the Church is. What we need to remember is the Catholic Church is the Church Our Lord, Jesus Christ, established and promised to protect, remaining with it until the end of the age (Matthew 28:20). That doesn’t mean that the leaders of the Church will be sinless. Even in the best of times, there is corruption. Even with the holiest of Popes and bishops, there are bad decisions. That doesn’t mean we have to be fatalistic about the current crises in this time. Of course we have to work to clean up the Church. But regardless of corruption in the Church, Our Lord’s promise remains. Individuals sin, fall into heresy or schism. But Our Lord does not permit the Church to teach error in His name [¶] regardless of what some of the shepherds may do. Remembering this is how we discern true reform from rebellion. In every time of crisis, the true reform has come from those who gave submission to those tasked with leading the Church. False reform came from those who rejected that authority. In fact, the false reform usually spun off into heresies or schisms. What we need to remember is that the Church exists as the ordinary means [∞] Our Lord uses to bring His salvation to the world and help us discern how to live faithfully, and that He has entrusted the teaching office to the successors of the Apostles—the Pope and the college of bishops in communion with him. Our Lord made hearing His Church mandatory (Matthew 18:17, Luke 10:16). So, when we encounter a movement which refuses or undermines the teaching authority of the Church, we know this movement is not of God. I understand it is frustrating, especially since some bishops have been revealed as failing to look after their dioceses. How can we tolerate knowing that other bishops, guilty of similar things, may be undetected? The answer is, we must trust that even if a sinful priest or bishop should escape detection, God is not mocked (Galatians 6:7). Our Lord’s warning about millstones (Matthew 18:6) should terrify them about dying unrepentant. We trust that God can and will protect the Church from going astray. I admit that may be a small consolation for the victims and their families. They do want justice—rightly. But we need to realize that, being but men, our magisterium will not do a flawless job of rooting out corruption, no matter how diligent and sincere they are. For the rest, we must leave it up to God, painful as it may be. So let us pray for the faithful clergy in this time of trial. Let us pray for the unfaithful clergy that they may repent and be brought to repentance and salvation. Let us pray for the victims, that they might be consoled. Let us pray that we act wisely and not out of sheer emotion. And then, after praying, let’s get to work—but let’s work with the Church, not against her. [§] Barring any exculpatory evidence a la the Cardinal Bernadin case—which I do not expect—I have no reason to question the credibility of the cases. [†] As I understand it, the statute of limitations is past for criminal charges or lawsuits. [¶] This protection is not “prophecy.” It isn’t a guarantee of personal moral perfection either. Rather it is a negative protection. It prevents the Church from teaching error, but it doesn’t mean further development isn’t possible. [∞] Ordinary means is the normal way Our Lord carries out His mission. There’s nothing to stop Him from using an extraordinary means, but it would be presumptuous on our part to knowingly refuse His ordinary means and demand something unusual to save us. If you’ve been following my blog, you know I’ve been warning about certain factions among Catholics who are hijacking certain controversies in the Church to support their ideologies. For example, Catholics who oppose Pope Francis are treating his refinement of Church teaching on the death penalty as “proof “ of his error.” Meanwhile, Catholics who oppose the US bishops because of their opposing Obama on the contraception mandate or Trump on immigration are seizing the McCarrick scandal as “proof” of their moral badness. Keep in mind I am not talking about people who hear the news and are trying to make sense of it, seeking the truth. I am talking about people who assume everything can be explained by their favorite theories. It’s one thing to be shocked by the McCarrick scandal or the Pennsylvania grand jury report. It’s another to use these cases to advocate dissent. What we need to do is look at the leaders of these anticlerical attacks. Have they had past problems with Church leadership? Is “ignorance” or “liberalism/conservatism” their continual accusation to explain why the magisterium does not go the way they want? If so, it is a warning sign against their reliability as authentic guides. Are they on the record (books, blog, etc) as holding a position that is not compatible with clarified Church teaching? That may be a sign that their objectivity on what is authentic interpretation of Church teaching is questionable. We need to understand that the Pope does have the authority to determine what is authentic or inauthentic applications of Church teaching. He has the authority to determine how the investigation and trial of a bishop can be handled. Nobody has the authority to hear an appeal against his judgments (canon 1404). So he does have the authority to declare that the use of the Death Penalty is inadmissible in these times. He does have the authority to determine how the investigation of wrongdoing will proceed. We cannot argue that the laity can overrule him or the bishops in the lawful exercise of their positions. Once we understand this, we might be able to find ways leading to useful reform. If we understand how a canonical investigation/trial works, we can properly apply canon 212 and reverently provide useful input on how to better achieve justice. If we understand the scope of the Pope’s authority (try Pastor Aeternus, Chapter 3, for example) we can avoid needless arguments on whether we need to listen to him (short answer: Yes). But if we refuse to learn how things work, if we assume that the error must be with others, not ourselves, then we are not providing religious submission of intellect and will to the authority of the Church. Our interpretation of Scripture is not Scripture itself. Our interpretation of past Church teaching is not past teaching itself. The Pope and bishops in communion with him have the right and responsibility to determine which interpretations are correct. If we choose our own interpretation over that of the magisterium, if we argue that when we disagree the Church must be wrong, we are choosing a faction over obedience, and becoming rebels. As things continue, we see those who once defended the Church from unjust attacks join the ranks of the unjust attackers. Seizing on injustice that exists in the Church—and always will as long as sinful human beings are part of it—they seek to tear down the whole of authority because they dislike how some of those tasked with teaching and guiding have failed in carrying out their task. What these people want is a wrathful response to wrongdoing, without considering whether the wrathful response is the right one. Wrongdoing exists in the Church. Therefore it must be the fault of the entire college of bishops. If they had done their jobs—so the argument goes—sin would not exist in the Church. But until the final judgment, sin will always exist in the Church. I don’t say that to be fatalistic. I say that to point out that the attitude of “throw the bums out” is not going to solve the problems in the Church. Some in charge may indeed need to be removed to correct the current wrongdoing. But that correction must be done justly. That means determining who are guilty of wrongdoing, not assuming all are guilty and attacking the entire Church for not doing a mass purge. I think these Catholics have allowed their dissatisfaction with how wrongdoing is handled to fester into assuming the entire system is unjust. Their arguments differ, depending on whether they identify with the morality of the political left or right, but they boil down to a belief that the Church is wrong in some way and the Pope and/or the college of bishops are to blame. “If it is true....” I am not calling this unidentified man a liar. It may well be a true account. The problem is, with anonymity and with no identification, we cannot act on it. Which diocese? Which seminary? Did the person he talked to even pass the complaint on to the bishop? There are a lot of things that a proper investigation has to know. We rightly want justice and reform. But if the things that “everybody knows” are stories without details like this, there’s a limit to what the Bishop can do. Sure, he can ask general questions. But that might turn up nothing...or even turn up misinformation if he asks the person who covered up. Without facts to act on, he can’t even know for certain that the story is true. Remember Cardinal Bernadin, for example. Again, I am not accusing victims of lying. Nor am I trying to make excuses for bishops who did wrong. I am saying we need to determine the truth of the matter. We should keep in mind the Apology of Socrates on knowing and not knowing. Apologia 21. Be like Socrates, not the other guy. I cite this to point out that many people think rumors that “everybody knows” is the same thing as proof. It’s not. “Everybody” knowing a rumor is not the same thing as people with the responsibility finding information they can act on. In this scandal, many critics think they “know” and, therefore the bishops are all guilty. But the questions to ask are: Who told? Were they reliable? Who was told? Did they pass it on? With answers to these questions, we can find the truth and hold the guilty responsible. Without answers, but thinking we know, we can only rashly accuse. Unfortunately, in times of scandal, the person who says “let us seek the truth first” gets accused of supporting the status quo. But we cannot rush to judgment, especially if we have previous animosity with the accused. This is why I say “stop and seek the truth first,” instead of “hold all the bishops accountable.” Yes, those within the Church who were culpable for enabling abuse should answer for it. That’s a major part of reform. But the “guilty until proven innocent” mindset will not lead to reform. It will lead to mistrust and anticlericalism to the point where Catholics will justify disobedience on the grounds that the bishops didn’t act as they thought best. The Church will be saved despite those angry critics. Not because of them. The Catechism of the Catholic Church is not infallible. Therefore the Pope’s addition must be a prudential judgment that can be ignored. The fact is, the Church normally teaches using the Ordinary magisterium. The use of the extraordinary magisterium (an ex cathedra teaching or an ecumenical council) happens under rare circumstances where a teaching needs to be nailed down for the good of the faithful. For example, the Church has always believed in the Real Presence of Christ in the Eucharist. But it was not given an infallible definition until 1215 in response to the rejection of that teaching by Berengarius of Tours. Under the logic of the dissenters, a Catholic would be able (before 1215) to ignore the teaching of the Church on the Eucharist as a “prudential judgment.” But that’s false. It should also be noted that previous dissenters tried to use this argument to justify disobedience to abortion or contraception. Because the teaching rejecting it fell under the aegis of ordinary magisterium, dissenters argued it was non-binding. can. 752† Although not an assent of faith, a religious submission of the intellect and will must be given to a doctrine which the Supreme Pontiff or the college of bishops declares concerning faith or morals when they exercise the authentic magisterium, even if they do not intend to proclaim it by definitive act; therefore, the Christian faithful are to take care to avoid those things which do not agree with it. can. 753† Although the bishops who are in communion with the head and members of the college, whether individually or joined together in conferences of bishops or in particular councils, do not possess infallibility in teaching, they are authentic teachers and instructors of the faith for the Christian faithful entrusted to their care; the Christian faithful are bound to adhere with religious submission of mind to the authentic magisterium of their bishops. can. 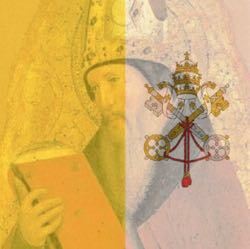 754† All the Christian faithful are obliged to observe the constitutions and decrees which the legitimate authority of the Church issues in order to propose doctrine and to proscribe erroneous opinions, particularly those which the Roman Pontiff or the college of bishops puts forth. Prudential judgment is not a matter of “optional obedience.” It is a matter of determining how to best cooperate with a teaching. It can never contradict the Church teaching however. #2309 of the CCC provides an example of what prudential judgment means. In listing the requirements of a just war, the Catechism states, “The evaluation of these conditions for moral legitimacy belongs to the prudential judgment of those who have responsibility for the common good.” In other words, the determination of whether a conflict meets the requirements of legitimate defense is a judgment of the one doing the defending—but not whether to obey. This assumes, of course, that the person is rightly seeking to follow Church teaching and not feigning obedience while acting to contradict it.